Mangaluru, June 09, 2016: Speaking at an awareness programme at the fishing harbour to mark World Ocean Day on June 8, Wednesday, principal scientist at the Mangaluru unit of the Central Marine Fisheries Research Institute Prathiba Rohit said that fish and other aquatic species along the coast have been eating plastic. She said that researchers have often found plastic particles in fish along the coast in the last eight years. She said that indiscriminate disposal of plastic and other pollutants in the ocean has led to a decrease in fish catch along the Mangaluru coast. Researchers have expressed concern over traces of plastic found in Bhootai, Bangude and other fish species found along the Mangaluru coast. Traces of plastic have also been found in tortoise and other marine species found in the region. 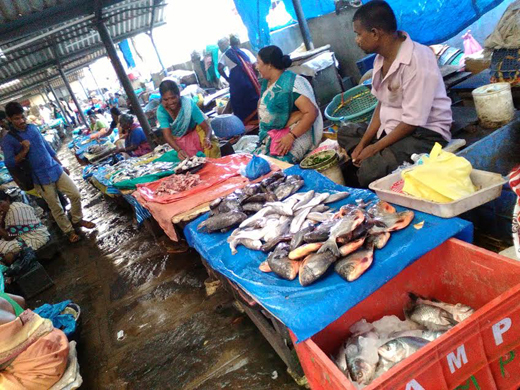 The scientist said that the presence of non-degradable plastic particles in fish was not just a phenomenon noticed in Mangaluru but the world over. She said that with a large amount of plastic being disposed of in the sea, it had become a source of food for fish and other organisms. According to a study done in the U.S., approximately around four lakh tonnes of plastic was being dumped in the sea every year. In the next 10 years, the dumping of plastic was expected to rise to a level that will be equal to the number of fish in the oceans, she said. Consumption of non-degradable plastic has led to fish kill. One piece of plastic was enough to kill around 100 dolphins, she said. These material have also stunted fish growth. Consuming fish that have eaten plastic was harmful to people, she said. Earlier, researchers of the institute presented a small skit on the need to prevent sea pollution. The institute also released banners on the harm caused by plastic to marine ecology. People are advised to adopt a good protocol in this regard. The ecological imbalance has cause harm to the sea creatures.